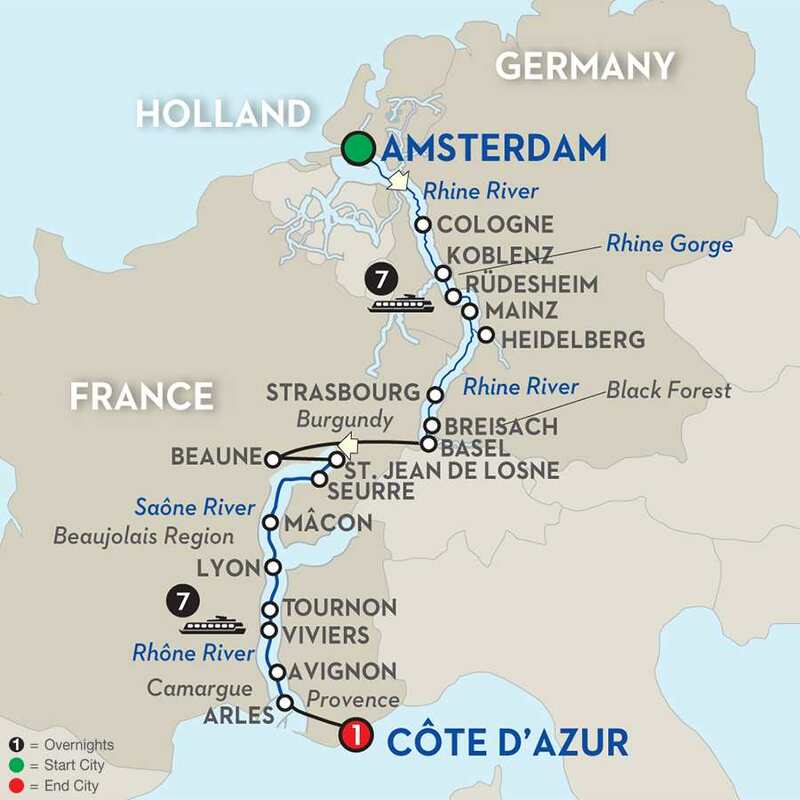 One of Europe’s most legendary rivers awaits you on this exciting journey along the Rhine River and its Jewish culture and heritage, which takes you across Germany-and touches in Holland, France, and Switzerland! This magnificent river cruise begins in the ever popular, modern city of Amsterdam, Holland. The best way to see the treasures of this 700-year-old city is on a canal cruise along the elegant grachten lined with homes dating back to the city’s "Golden Age" and the Jewish Quarter. During your stay in Amsterdam you will also have the possibility to join a guided tour to the Anne Frank house and attend an evening concert at the Portuguese Synagogue. Your Jewish experience continues in Mainz for a guided walk, and a visit to the captivating Gutenberg Museum and more learning about the Jewish past of this city. 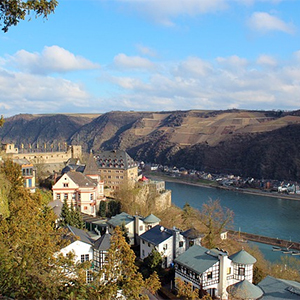 An excursion takes you to Heidelberg to visit the ruins of its red-walled castle, or you might want to visit Worms instead, with its incredible Jewish Heritage. In Strasbourg, France, you’ll be amazed by the red-sandstone gothic cathedral with ancient murals, fascinating astronomical clock and by the old streets of the Jewish quarter. Stop in Breisach, Germany, the gateway to Germany’s Black Forest-an area of unrivaled natural beauty-best known for Black Forest ham, cherry cake, and the cuckoo clock. Lyon is a showcase of medieval and Renaissance architecture. Explore the Old Town with its maze of medieval alleyways. Continue to the twin cities of Tournon and Tain l’Hermitage beautifully nestled among vineyards. Here, you’ll go on a guided walk of Tournon-a medieval treasure with Roman ruins and a fascinating 16th-century castle. In Avignon, visit the Palace of the Popes and take pictures of the bridge in the famous song "Sur le pont d’Avignon." Enjoy your last night in France on the captivating Côte d’Azur. Relax along the remarkably blue water of the Mediterranean Sea-a perfect ending to this once-in-a-lifetime European river cruise! During the cruise, Eva Schloss, stepsister of Anne Frank, will travel with you. Enjoy her lectures on board and a special visit to Anne Frank’s house with her! Part of Avalon's cutting-edge fleet of Suite Ships, the Avalon Expression came onto the river cruising scene with a bang. This gorgeous ship features two full decks of Panorama Suites with Wall-to-Wall Panoramic Windows that transform the living space into a unique Open-Air Balcony®. With 200 square feet, Panorama Suites are more than 30% larger than the industry standard, affording you the incomparable opportunity to wake each morning facing the splendid passing scenery. Onboard amenities include an alternative light dining option in the Panorama Bistro, an expanded fitness center, complimentary Wi-Fi access, and a spacious Sky Deck with premium lounge chairs, whirlpool, and light al fresco lunches at the Sky Bistro on the Sky Deck.